On the bank holiday weekend Darren and I drove up to Edinburgh to celebrate his Birthday! 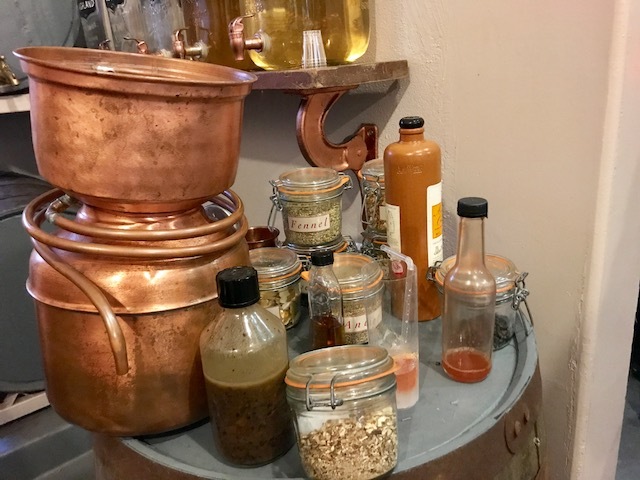 (Just a quick 5 hour drive the morning after we had a party) with minutes to spare we arrived on time for our first planned activity - the Pickerings Gin Tour! 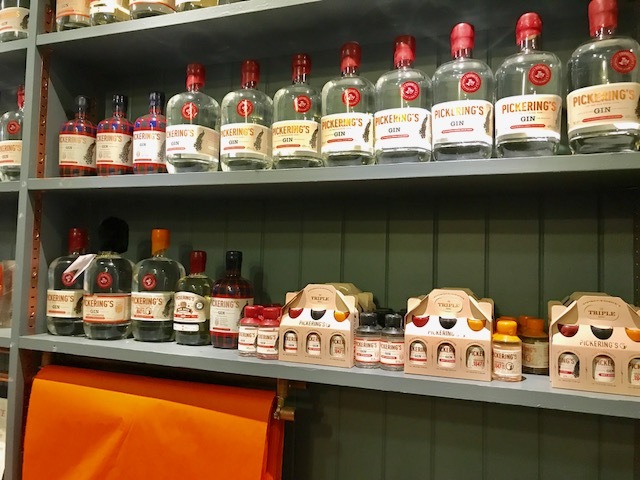 I was so so excited to be going on the tour as Pickerings is our favourite Gin so we wanted it to be our first tour experience ! We arrived at Summerhall, not really knowing what to expect. We found the Pickerings van and was greeted by the lovely Victoria who got us our first drink (heir of the dog and all that). 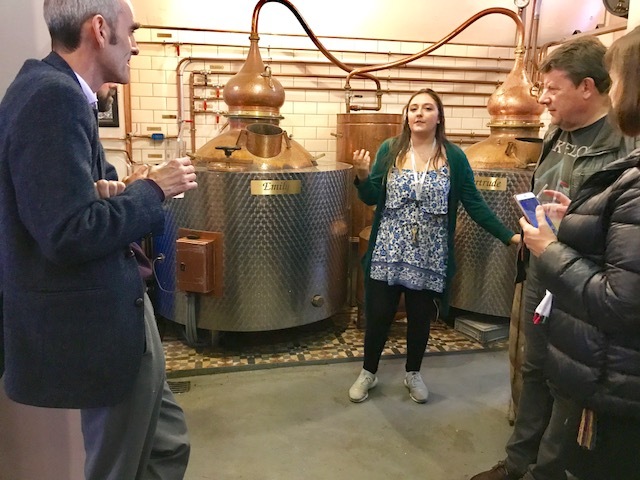 She lead the group through Summerhall to a narrow corridor and small room that was the distillery! I wasn't expecting it to be so tiny especially after going on the Guinness tour in Dublin last year I was expecting some huge place with lots of machinery. however, I have since learnt that they are craft distillers meaning they make their gin in smaller batches. This only became legal in more recent times as the government banned it due to the general public making Gin illegally and killing them selves... yep but of a morbid history !!! 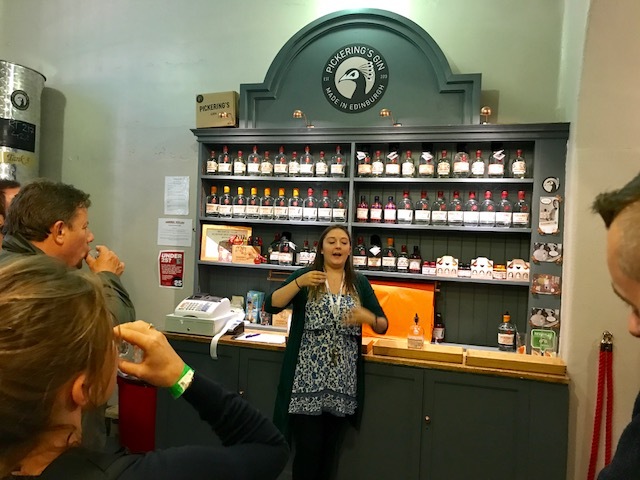 Any way Victoria talked through the history of gin with a lot of funny anecdotes and reasoning behind things before telling us the tale of how Pickerings came about! I absolutely loved the story and it actually gave me goosebumps! (I'm so sad I know). It very humbling to hear how these things start and it makes it all seem a little more worth while when you are buying things from small businesses. Pickerings are in no means small in terms of their increasing popularity but hearing how everything is created by hand makes it feel l even more special !! 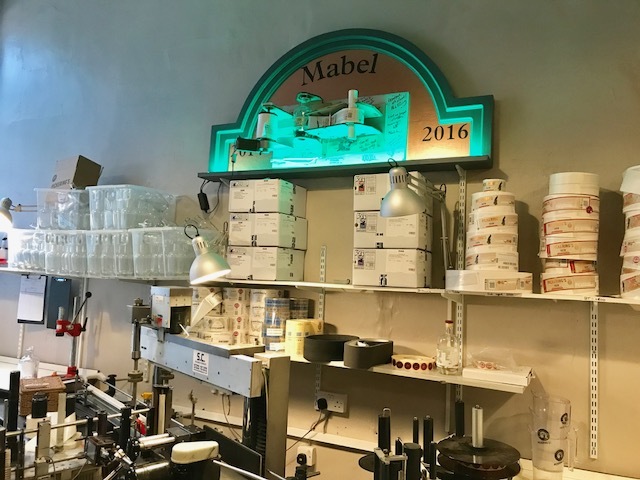 Everything is made by hand even down to dipping the bottle in wax to seal it, how crazy is that. I dont want to say too much about the story as I loved hearing it for the first time and I wouldn't want to ruin that experience for anyone else! 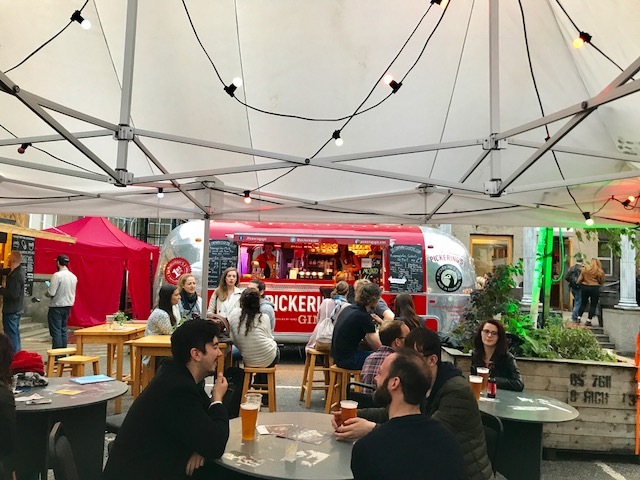 As we where the last tour of the Edinburgh fringe Victoria didn't mind it running over so what was meant to be an hours worth or tour turned in to two hours! which was fab as we got to ask lots of questions and hear lots more about the story so top tip - book the last tour of the day and you may get extras ;). The tour ended in getting to taste a bit of each of the Pickerings variations including the classic, the navy strength and the 1947. 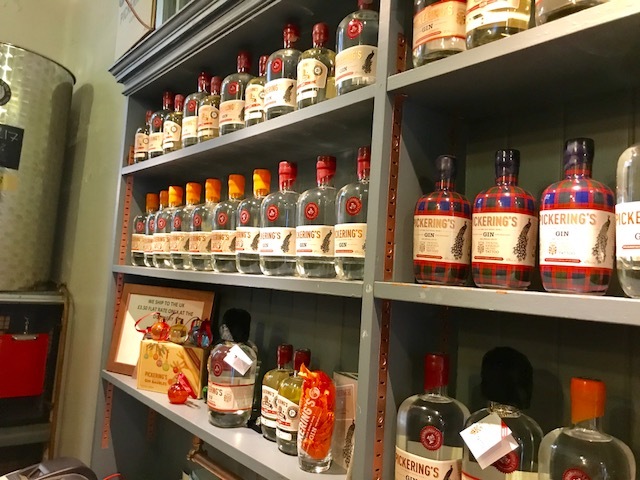 Along with these they sell minis, glasses, a Edinburgh Tattoo version of the Gin in a limited addition bottle - which we bought :). You can buy any of their products from their online shop as well as it being sold in certain retailers. We had such a fabulous time and we where so glad we managed to get there in time so we didn't miss out! 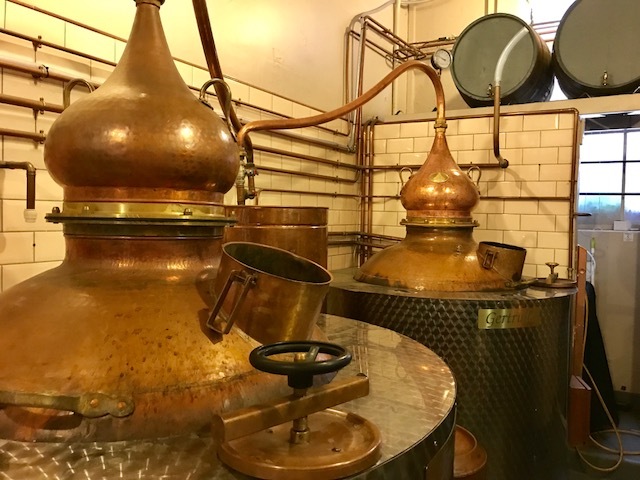 If you are heading to Edinburgh this is a must do activity, even if you dont particularly like gin you'll still have a great time! Thank you so much for having us Pickerings!